With the immense popularity growth of whisky in Hong Kong in recent years, it's no surprise to see an increase in both dedicated whisky bars (when we started covering the Asia scene for example, there was no Club Qing or Ginger - now two of HK's best whisky bars), as well as existing bars increasing their focus on whisky. Much loved McSorley's Ale House fall into the latter camp, with their new SoHo location in Staunton St, Central. The traditional Irish pub is increasing their focus on whisky (all whisk(e)y, not just Irish), and plans to do so with a regular calendar of events. 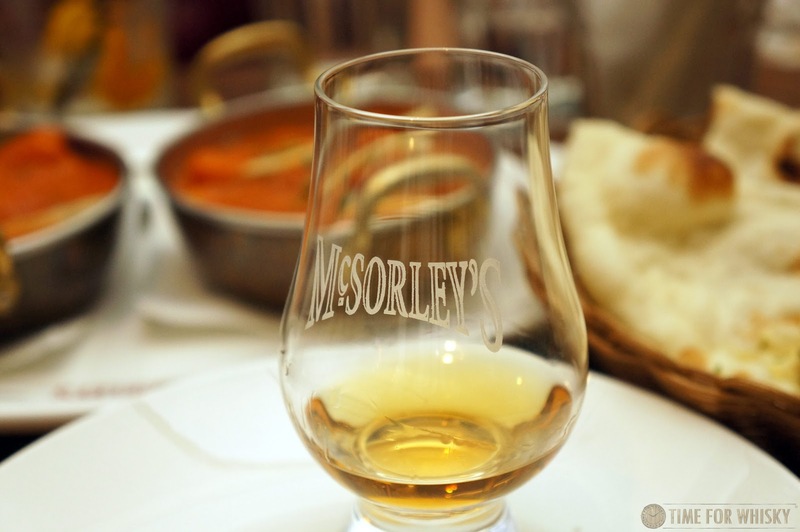 We went along to a recent event - a tasting of 4 "world whiskies" (which actually ended up being 7), paired with four Indian dishes. Indian cuisine may not seem like the most obvious to pair with whisky, but we applaud the bar's bravery in exploring this front (and as we discovered, it actually worked well). Whisky Ambassador Jessica Kwok was our host for the night, kicking things off with a brief introduction into the new whisky nights concept at McSorley's, as we all enjoyed the welcome cocktail - a mixture of Tullamore D.E.W, ginger syrup, soda and bitters. Much like the laid-back, relaxed nature of a traditional Irish pub, McSorley's SoHo is looking to keep their whisky nights informal and fun, but with a sizeable list of quality whiskies. Jessica explained that given the group is already well-known for their Indian menus, they figured why not try to pair that with their new whisky aspirations...and without further ado, we jumped into the first pairing - Bulleit Rye with vegetable samosa. I've always enjoyed Bulleit Rye, but with a 95% rye mashbill, there's no denying it's a spicy whisky. Pairing that with vege samosas resulted in, well, a spicy pairing. A tasty one though. Next up was Teeling Single Grain paired with Butter Chicken. This worked quite well too, with the whisky making the chicken seem sweeter, and the sauce more perfurmed. Of course, it wouldn't have seemed right if there was no Indian whisky, and so our third course saw Amrut Single Malt (see our distillery tour here) paired with fish Makani. This was by no means a bad pairing, but neither the whisky nor the dish really seemed to elevate or substantially alter the notes in the other. 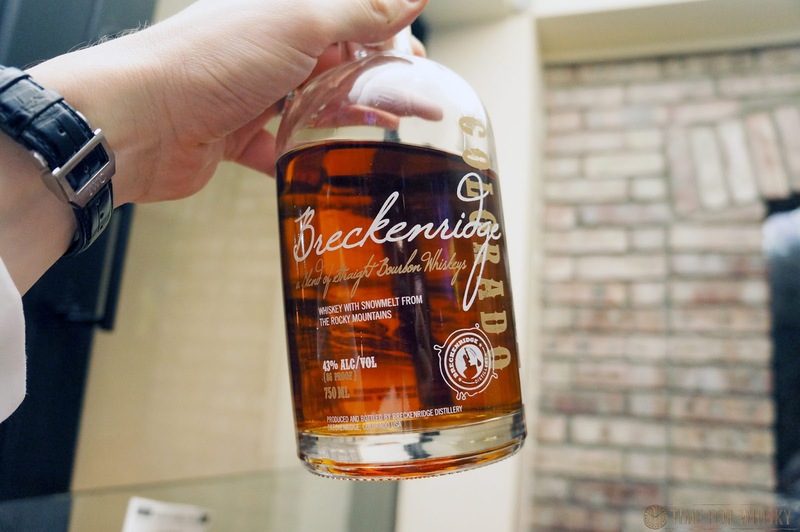 For a brief interlude before our final pairing, Jessica broke out her personal bottle of Breckenridge Bourbon, a young whiskey from the Rocky Mountains. Whilst I was sceptical at first (having tasted a lot of young, generic Bourbon over the years), I was pleasantly surprised with this - a delicious Bourbon with notes of toffee, oak, vanilla cream and red apples. 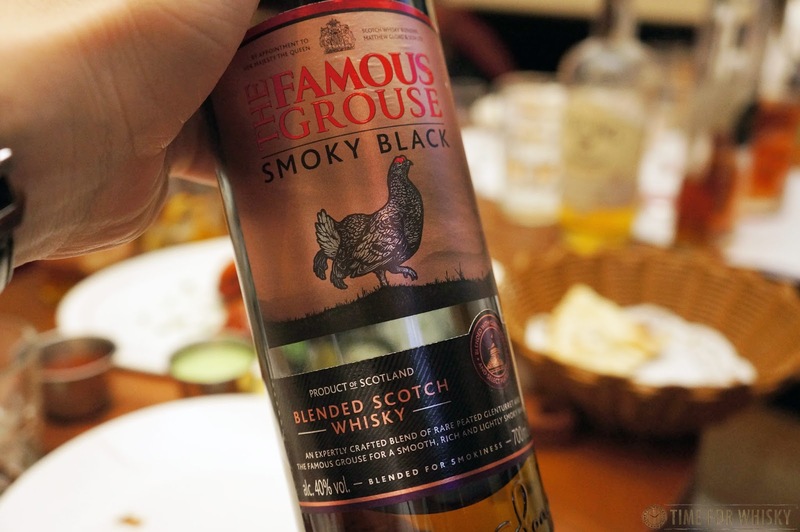 Back to the food, and our last pairing - Famous Grouse "Smoky Black" paired with tandoori chicken. Jessica explained that they'd tried this dish with various Laphroaigs and Bowmores, but found the toned-down, subtle smoke in the Famous Grouse worked best as a pairing, and to be fair, it did work well, with the charred smoke of the chicken and the subtle smoke of the blend mixing nicely, and creating what I thought was the best pairing of the night. 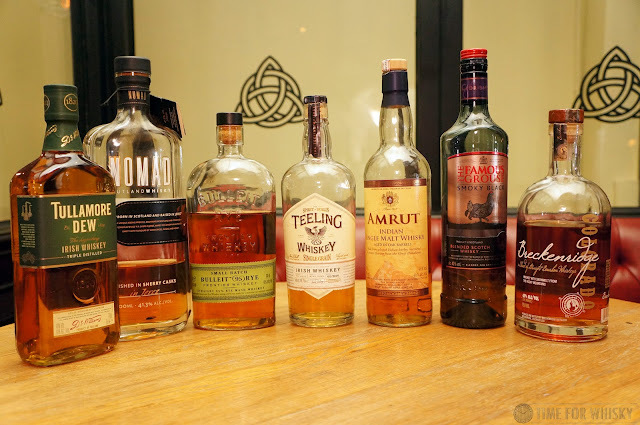 Indian may not seem like the natural choice when looking for food to pair with whisky, but in this case, it was a fun and interesting experiment that produced some enjoyable combinations. 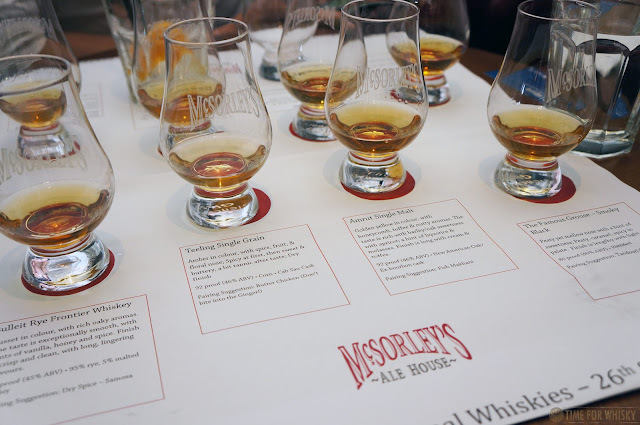 Well done to McSorley's, and we're looking forward to their future whisky events (including one soon with The Lost Distillery Company).